The Blades is an exclusive hotel situated on a 10 hectare expanse of untamed bushveld, built on the banks of the Roodeplaat Dam. 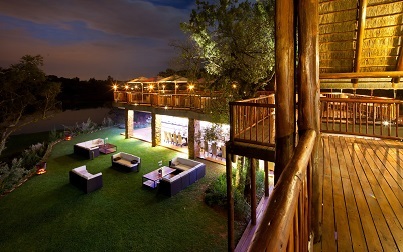 We offer a unique combination of indigenous vegetation, landscaping and water-front luxury. We are conveniently situated just 20 minutes from Pretoria, 40 minutes from OR Tambo International and 50 minutes from Johannesburg, making it an accessible destination to both local and international guests.